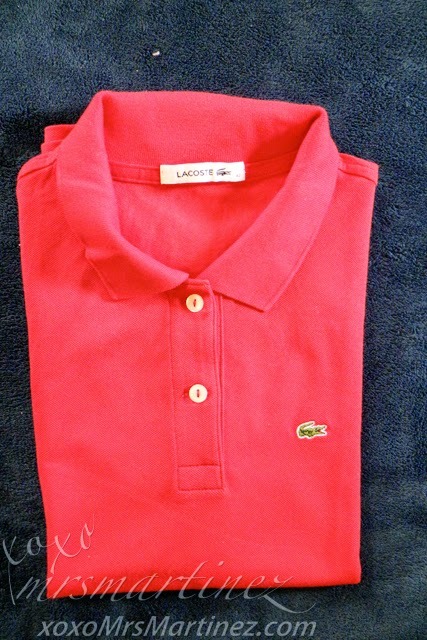 Canicule is the style of my short sleeved Lacoste polo shirt in Rouge. 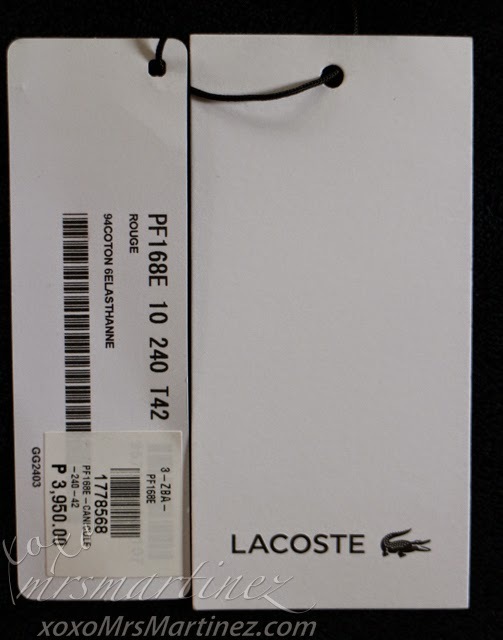 I bought this at Rustan's Shangri-La Mall last November 2014. 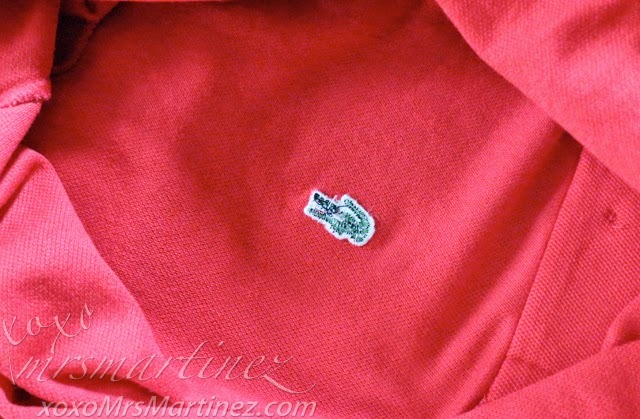 It's my second polo shirt from the brand. 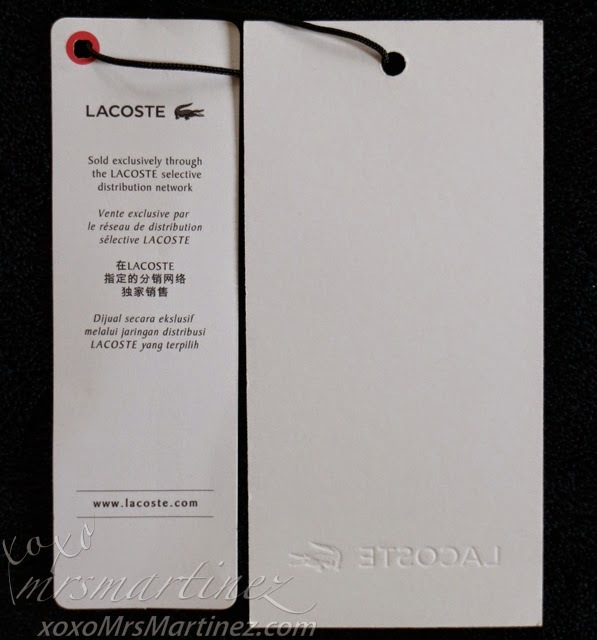 Lacoste Canicule is made from stretch cotton fabric. It is slim fit and the colors available changes with season. 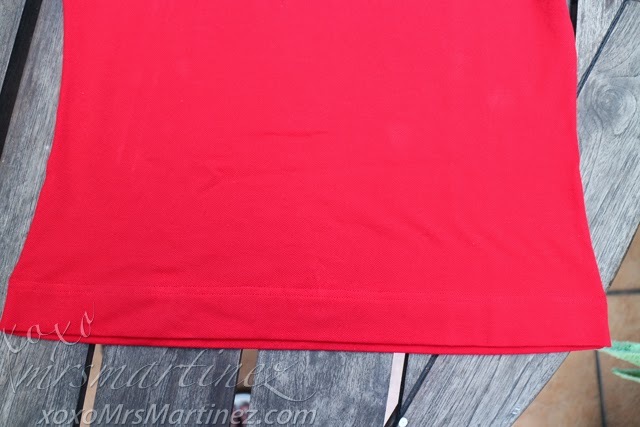 I got this vibrant red color in time for the Christmas season. 1. 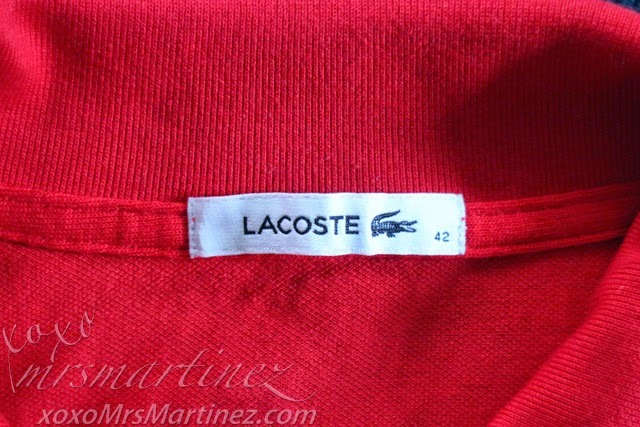 Size- Lacoste used numbers (36, 38, 40, 42 and so on) instead of letters (S, M, L, XL). Piping used (where logo was attached) is the same material as the collar. 2. 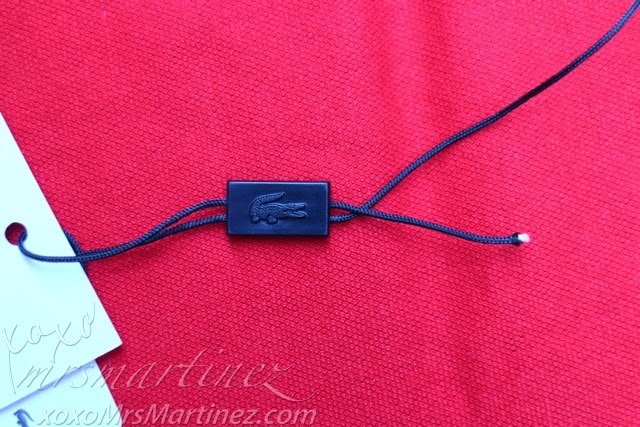 Lacoste Crocodile Patch- Mouth, tail and claws are detailed. Mouth open with teeth stitches and red tongue, tail is slim and has pointy end while claws are clearly visible. 3. 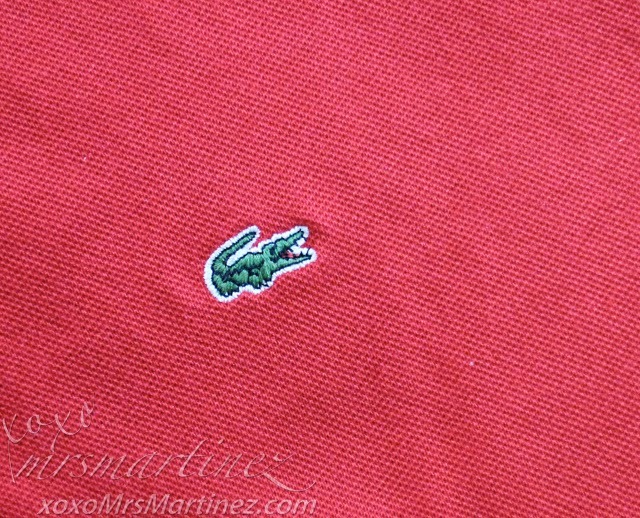 Stitch- Crocodile logo in Lacoste for women is directly stitched onto the shirt. 4. 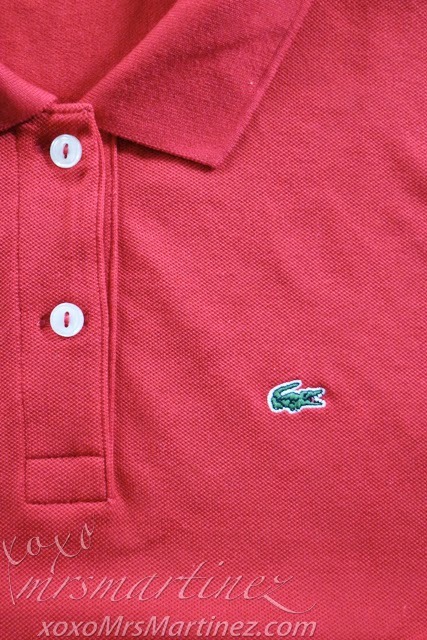 Buttons- only two are found in Lacoste Canicule. No markings/logo on buttons. I have not confirmed if these buttons are made from "Mother of Pearl". 5. 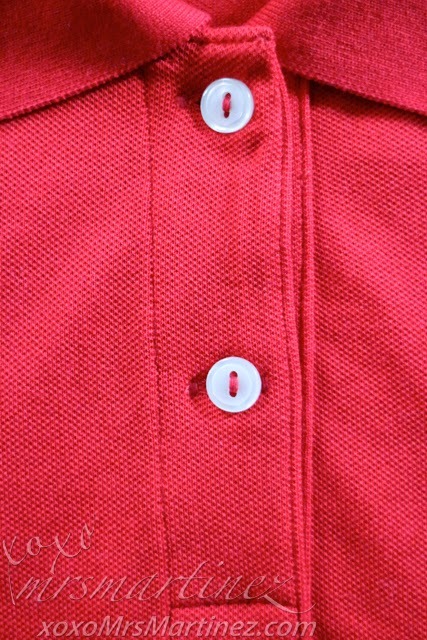 Crocodile Position- the position should be in between the second button and the two bottom stitches. 6. 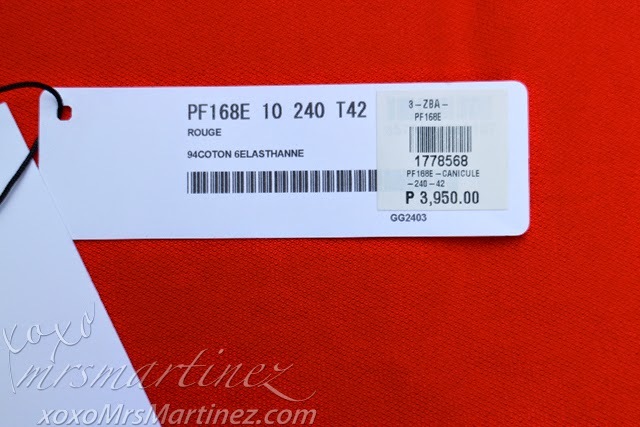 Tags (front)- Includes the item code, color written in French, composition of the shirt. 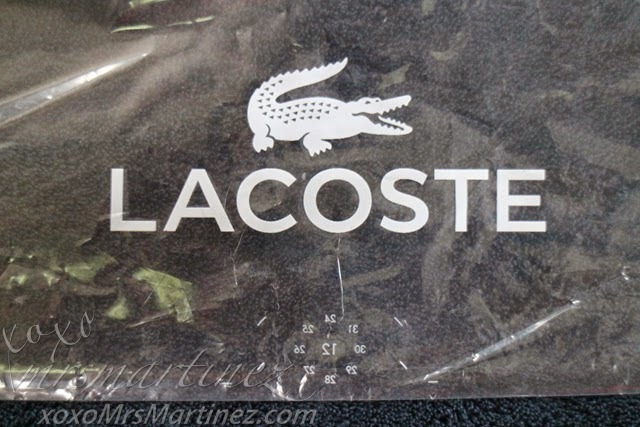 The word "Lacoste" and the crocodile logo are embossed. 7. 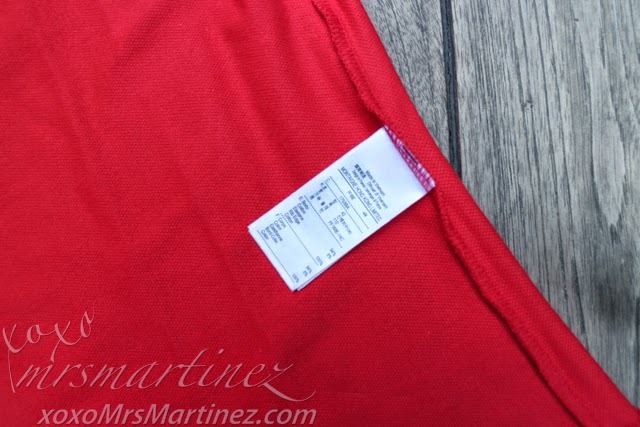 Tags (back)- Square punch hole with red border. 8. No slit on the sides for this particular design. 9. 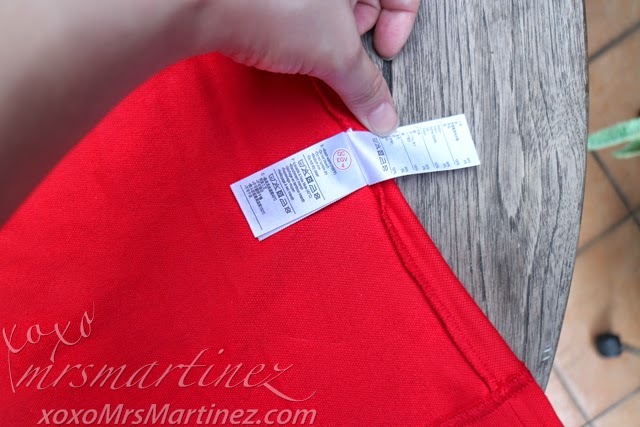 Care label/Wash Instructions- Wash warm, do not bleach, do not tumble dry, medium iron and do not dry clean. Personally, hand wash is still the best. Line dry and do not over wring. It is best to just let the remaining water drip. No ironing necessary, especially on the collar. 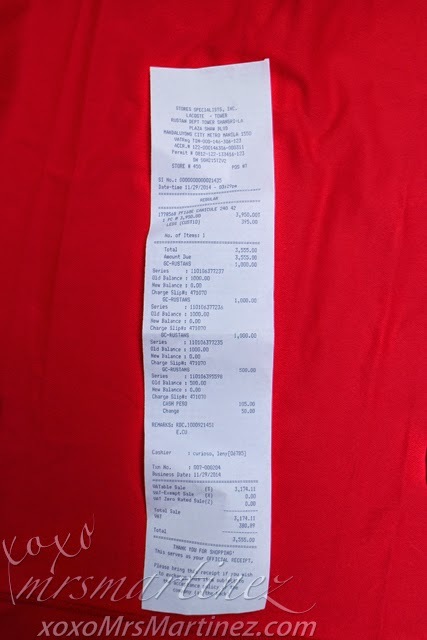 For your peace of mind, buy only from reputable companies like Rustan's. 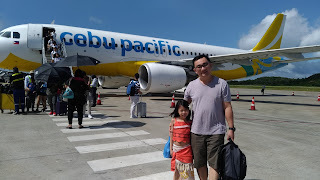 It is located at Shangri-La Plaza Mall.